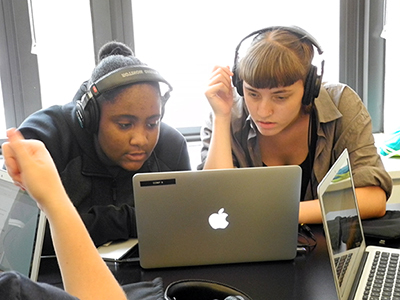 Sound Thinking NYC launched last year with 39 students who learned about different music-industry careers and skills. If you’re a high school girl and you want to work in the music business, Sound Thinking NYC was designed for you. The program offers NYC high school students a year of free opportunities to learn the tools, technologies, and different career paths that power songs, concerts, theater, and film. 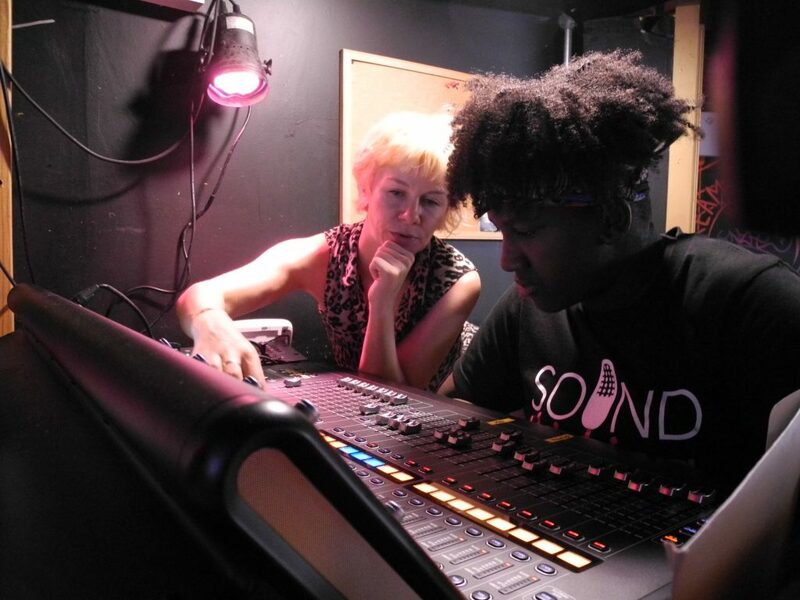 Sound Thinking NYC summer program is held in July and is a free three-week intensive where students learn hands-on music-production and leadership skills—lunch and MetroCard included. Students visit recording studios; learn about new technologies, businesses and platforms that are distributing music over the Internet and beyond; and explore strategies to fulfill goals in life, including career exploration and college readiness. 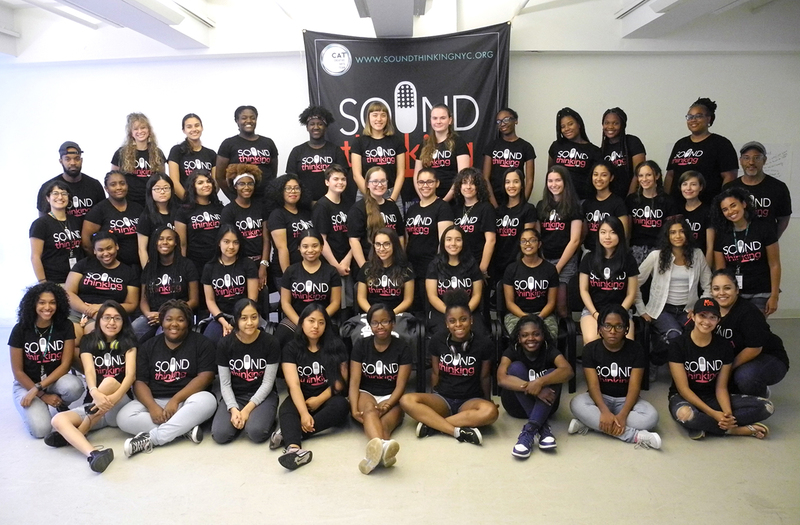 Sound Thinking NYC also includes nine events during the school year that are designed to show students how their passion for music can lead to a profession in New York’s music industry. Just 22.4% of artists, 12.3 % of songwriters and 2% of producers are women, according to a report from USC Annenberg School for Communication and Journalism. The program launched last year and is a project of the Mayor’s Office of Media and Entertainment (MOME) and Creative Arts Team at City University of New York (CUNY), in partnership with NY is Music, a coalition of music industry leaders. Experts show students what it takes to design sound for concerts and theater and how to record and produce music using Pro Tools. Women who are leaders in the industry also meet with students to talk to them about careers in entertainment law, marketing, and other jobs in the music business. Pros who’ve participated in the program include leaders like Carletta F. Higginson, head of music publishing business development at YouTube & Google Play Music; Molly Neuman, head of business development at Songtrust; and Binta Niambi Brown, CEO & Founder of Fermata Entertainment, Ltd./Big Mouth Records, LLC. Sound Thinking NYC trains girls at keyboards and mixing boards to get skills needed to work in different music-industry jobs. When summer ends, Sound Thinking NYC hosts free workshops throughout the school year. Girls who attend both become eligible for paid internships at music venues like MonoLisa Studios and Brooklyn College’s Barry R. Feirstein Graduate School of Cinema. Don’t miss out! Keep up with the latest opportunities for women on Instagram @women_nyc.